Little is known about tendons and tenocyte biological behaviour during aging and, especially, oestrogen deficiency. The aim of this study was to evaluate in vitro the proliferation and metabolism of tenocytes isolated from the Achilles tendons of ovariectomised (OVX), middle-aged (OLD) and young (YOUNG) rats. An in vitro model of micro-wound healing was also used to assess age and oestrogen deficiency differences in tendon healing. 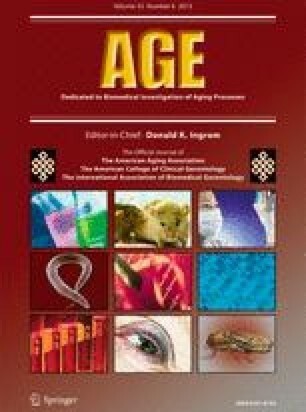 In standard culture condition, OLD and OVX tenocytes showed a significantly lower proliferation rate, collagen I, aggrecan and elastin than YOUNG ones. In OVX group, fibronectin and elastin significantly decreased in comparison to YOUNG and OLD groups, respectively, whereas vascular endothelial growth factor and metalloproteinases-13 increased than those of both YOUNG and OLD groups. In the micro-wound healing model, tenocytes from both OVX and OLD showed a significantly lower healing rate, proliferation rate, collagen I and nitrix oxide in comparison to YOUNG. OVX elastin value was significantly lower than YOUNG one and OVX healing rate and cell migration speed, proliferation rate and fibronectin results were lower, whereas collagen III and metalloproteinase-13 higher in comparison to both YOUNG and OLD groups. These results highlighted how aging and, more significantly, oestrogen deficiency negatively affect tendon metabolism and healing. Our work improves the body of knowledge on the effects of senescence and oestrogen deficiency on tenocyte behaviour and allows further studies to find solution for the prevention of tendon injuries in aging and menopause. The research was supported by Rizzoli Orthopaedic Institute, “5 PER MILLE Project” (CUP D31J09000260001).